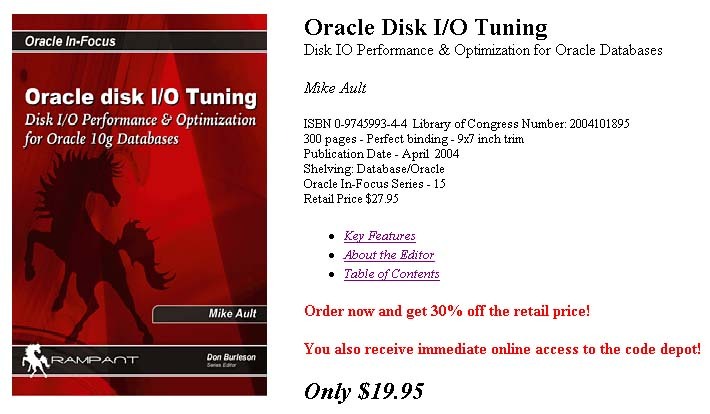 Oracle IO optimization is covered extensively in this premiere book by Oracle IO optimization expert, Mike Ault. Want to learn the best Oracle IO optimization tips? 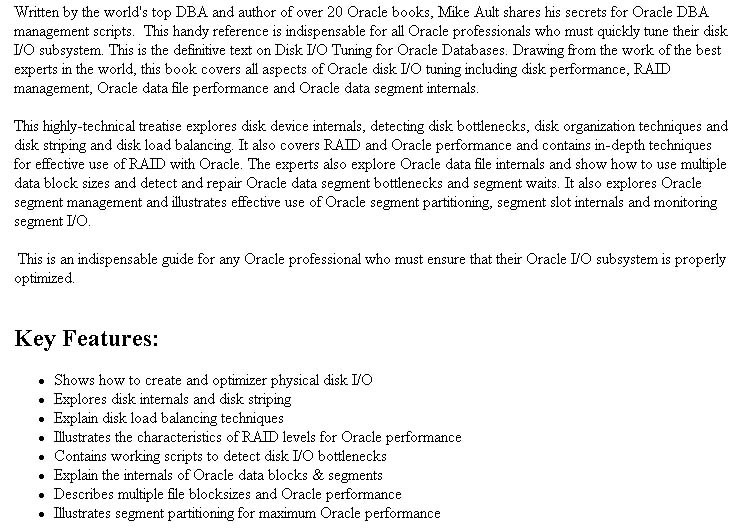 You'll find it here with Mike Ault's important Oracle IO optimization guide book.